Giselle is from the magical animated world of Andalasia, and constantly finds herself in mortal peril, only to be constantly rescued by the dashing (if not dim-witted) Prince Edward. Prince Edward's wicked step-mother, Queen Narissa, wants rid of them both, and so sends Giselle though a magical portal to the real world, where she ends up in the middle of New York City in the modern day, Following a series of unusual circumstances, she finds herself staying in the care of lawyer named Robert. Robert has no idea about Giselle's true origin, but does question continuously her erratic behaviour. AS her adventure in NYC continues, the evil Queen's plans to have Giselle killed are constantly thwarted, and in the end the villain travels to NYC herself to get rid of Giselle once and for all. She eventually manages to poison Giselle, making her fall into a sleeping death. Robert comes to the rescue, and in true Sleeping Beauty style, awakes her with his kiss. In a final battle to the death, the wicked Queen falls to her death from the top of a high rise building. Giselle and Robert discover their true feelings for each other, and live out their fairytale romance not in Giselle's happily ever after world, but instead in New York. 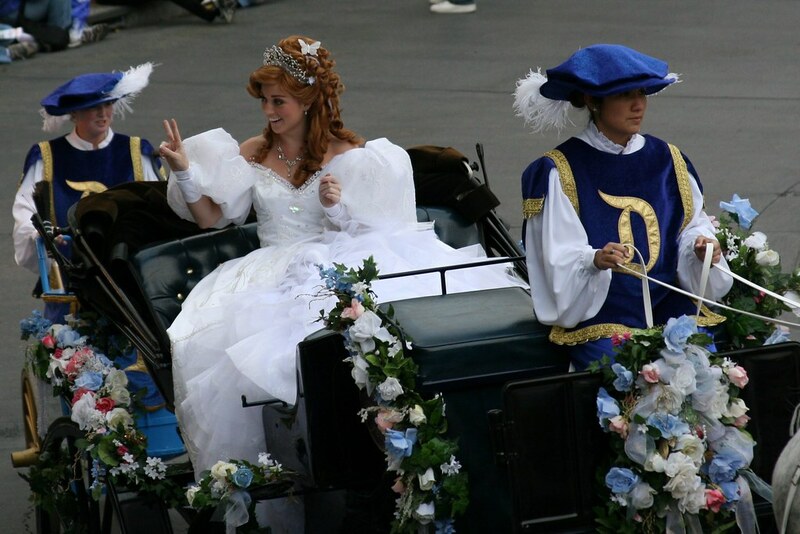 Giselle does not currently meet at any Disney Parks or Resorts, and sadly probably never will due to legal reasons.